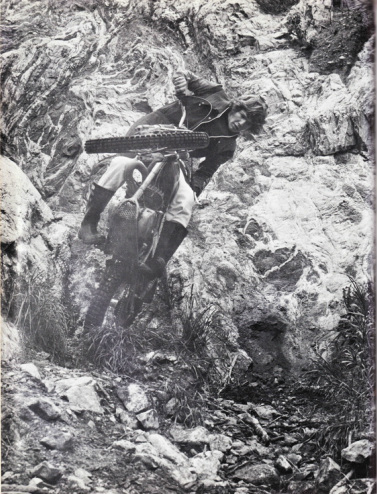 ﻿And you ended up going to a Bultaco factory out there? 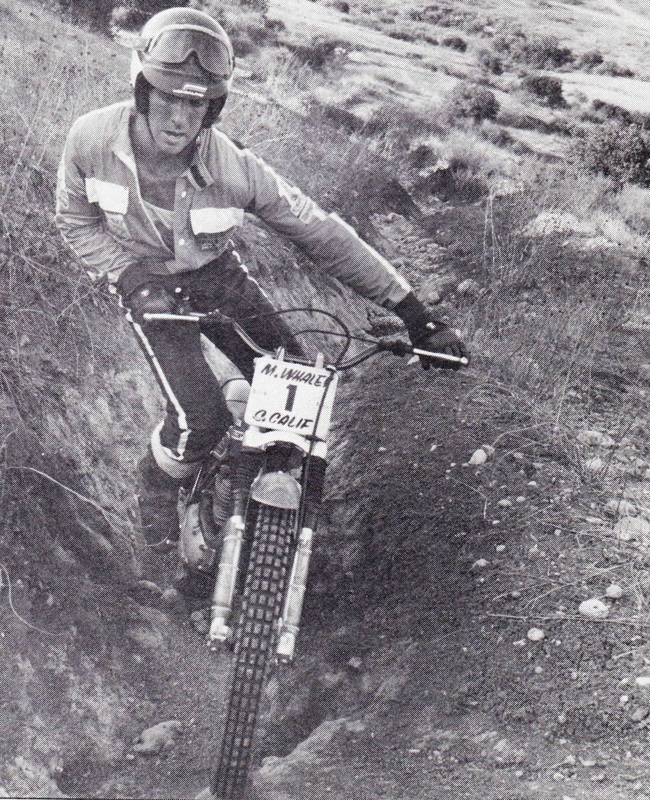 Yeah, I’d always been on Bultaco with the Steve’s Bultaco company. That was my first sponsorship and we had like a bike on loan and all the spare parts, but that comes later in the story. I think the first person who saw my talent and mentioned it was Manuel Soler, you know . He sold it. That’s where they saw it as a marketing opportunity, to have a young rider in the USA and each and every other country. 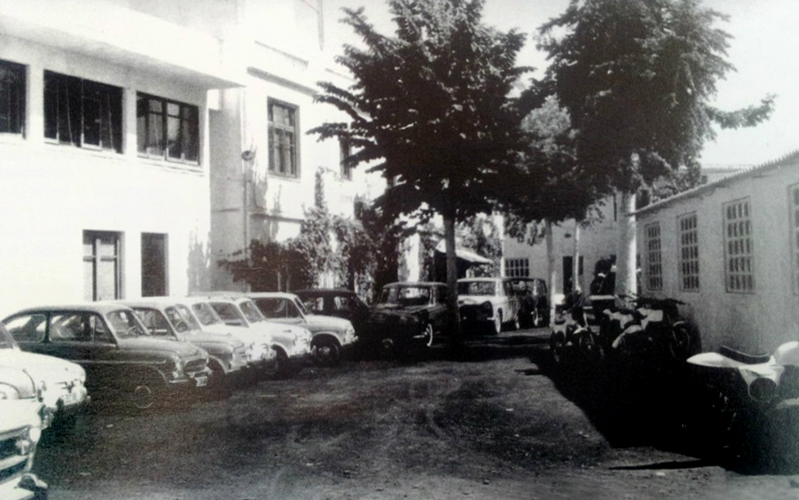 They wanted to develop the market and develop the Bultaco brand worldwide. What did Manuel do?. Was he the same age as you?. No he was a little bit older. And then what did he do to actually get you involved in promote trials in the US? I think they were trying to promote in the US as they saw that as a potential big market. It was a very big market for them and that was one of the reasons why they went bankrupt later on. This was such a big market, that when the Japanese came , it just crippled their US market which destroyed their overall business. They weren’t still balanced you know. So , I think they thought that this big market could become a big trials market as well. I don’t think they properly understanding the market. They just thought that as MX was big in the US trials would follow naturally. Why couldn’t trials be as big!. I think that this was probably their philosophy and they needed somebody young and American , just like Manuel was the young and up coming Spanish rider who later became Spanish champion. Manuel was really good. I practised with him when he came to Los Angeles. He stayed with me for a while and when I went to Spain I stayed with Manuel and his family. 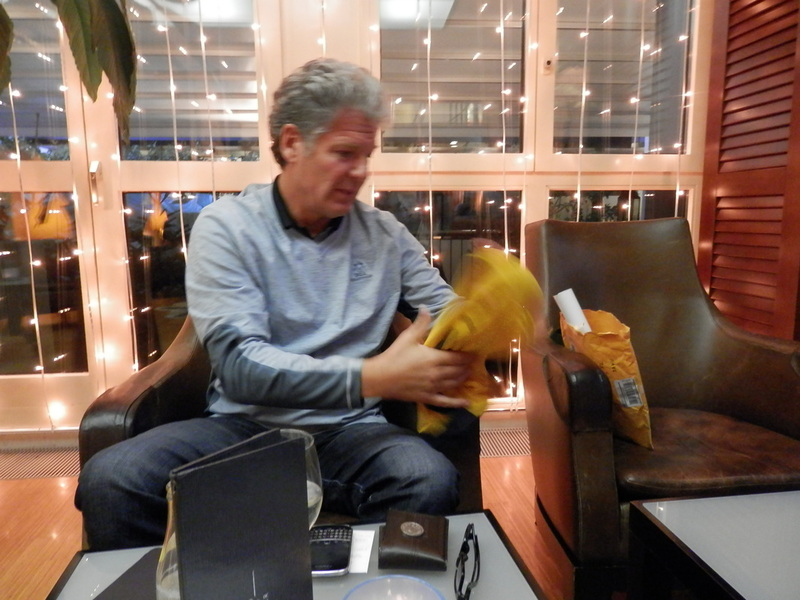 That was my very first experience of Spain actually, staying with Manuel Soler. A nice photo of Bernie at Manuel's home in Spain. Many years later, long after the World trial, the friends meet again. How did you cope with the English and Spanish language difference? I don’t think I coped with Europe till many, many years later. It was always a challenge. So, you were 13 when you first went out to Spain and Manuel recognised you. Did this set up a support mechanism back in the US for you? No, just the local dealer/retailer, in the US, called the Steve’s Bultaco company. And they gave me all the support? Exactly. And if it wasn’t for that, I probably wouldn’t have been here today. Bernie then got his old yellow Steve’s Bultaco riding top out of a bag for us to see……..
There’s not many of these still around. 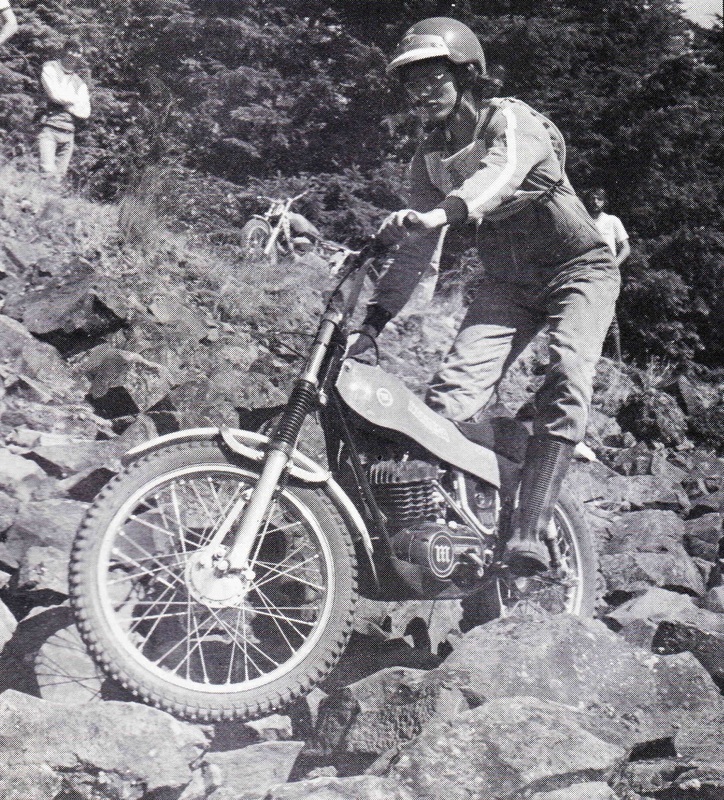 Steve’s Bultaco was one of the biggest Bultaco dealers in the US. He was in Los Angeles and supported me until one day ,we started to ask for more . Then I had a call from the Bultaco importer in Virginia Beach, John Grace. John Grace called them and said they would like to meet us in Los Angeles. I of course went down there. 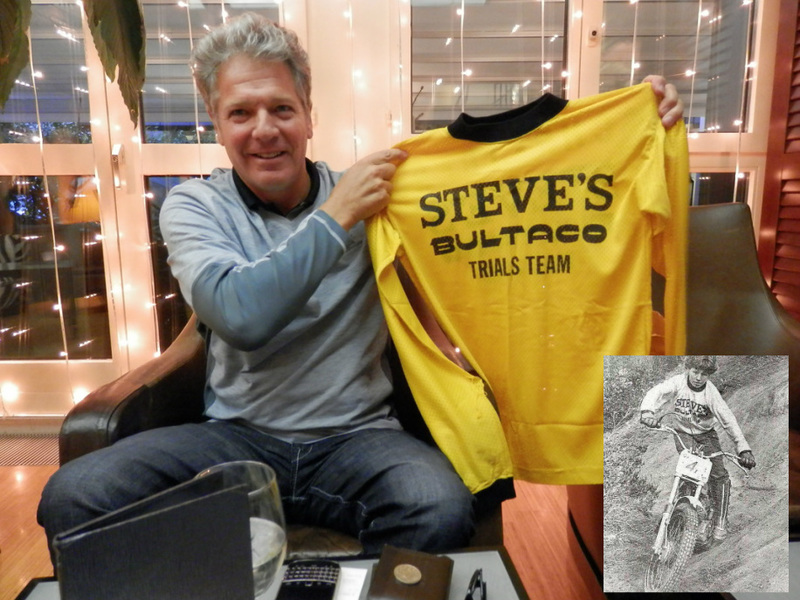 So it was through the owners of Steve’s Bultaco that I got bigger support from the US Bultaco importer. My results were getting better and better and I think they started to get afraid I was going to go to a competitor. This got me more support. This is where it all started. This was when I was almost 17. 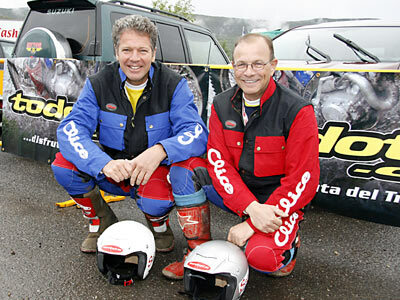 In fact Bernie was met by John Grace from Bultaco International along with Juan Chalamanch. Juan started with Bultaco as a designer and then rose up the ranks to be one of the few in charge of industrial operations. 24/3/1959. 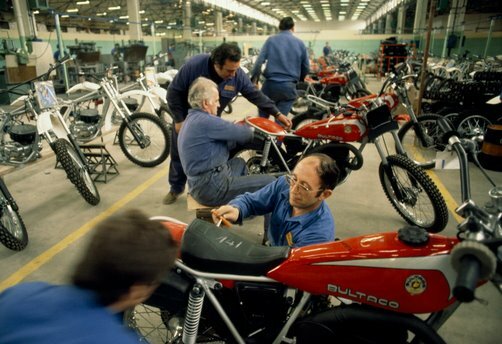 Juan Chalamanch was one of the founders of Bultaco and can be seen here third from the left. 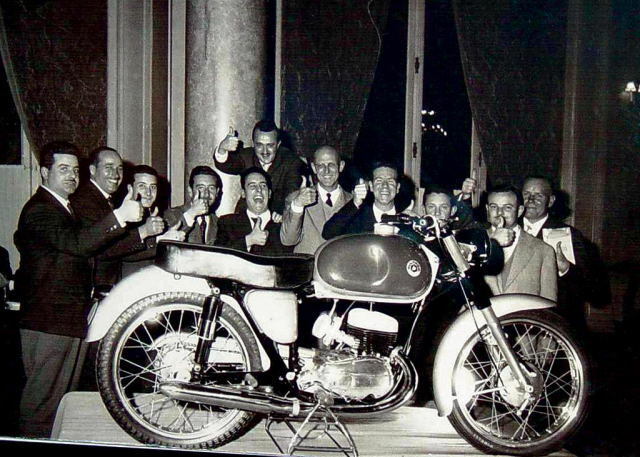 This was the Ritz hotel unveiling at the Ritz hotel of the first Bultaco model the 125cc Tralla 101. It was named after the Spanish word for whiplash :). So aged 13 when you did Trail de Espania you didn’t really have any support, when you went back? What age were you when you went over to Manuels? Well that’s when I really started, about 18. There is this thought that England and Europe is the place to be when your riding trials. You came to Europe and you beat the Europeans at their own game. It was unheard of and not been done since. As a growing trials star did you ever think that it would be great living over there? I never thought of it like that. I’m still not a real believer that where you are born is gonna make the difference. I think that growing up in Los Angeles and being able to ride in very dry conditions also gave me a lot of advantages. Sure , later I had to learn new techniques and a different way of thinking but it’s just what you are inspired to do after that. Trials in the UK was quite depressed and down for some time. 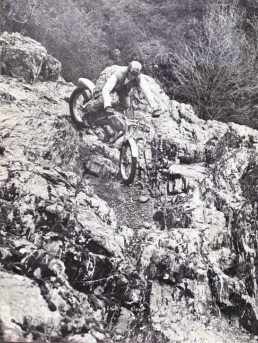 Doug Lampkin brought it back, but Lampkin only came back as he had left and departed from the UK as he went to Spain competing and living there. He trained a different way. So I don’t think I was born in the wrong place as you’re only as good as you are and can be at a certain point at that time. Trials was changing. I was able to work on my technique. I had this idea that you couldn’t stop forward motion. If you think about the old British rules that were set up years ago you realise that they weren’t very flexible. You just couldn’t stop forward motion. As a result I was always thinking about how I could make a turn tighter without stopping forward motion and that’s how I developed that floating turn but you could only use that in a dry environment. It was much more difficult when it was wet. I think the way the sections were set out also started to change. This was a time when the indoor trials started to come about and this increased the technical aspect of trials. This gave me some advantage , at this time. I was only the best at that particular moment. You’re not the best for the rest of your life ,just that particular moment. Do you think that your ability to get the front floating turns correct played a significant part in your success? I think it helped a lot. I think that my success at this time was a combination of several things and the floating turns played part of the difference. In competition there comes a point when everybody is so good at it ,that only a little bit of something special makes that difference. Later for example some riders learnt how stop and move the back wheel about. My advantage came in developing my technique at that particular moment .I think it was a balance of what I knew and also coming to the UK and training in the mud. I was able to get good results in France, Italy and Spain but of course the rider’s not everything. 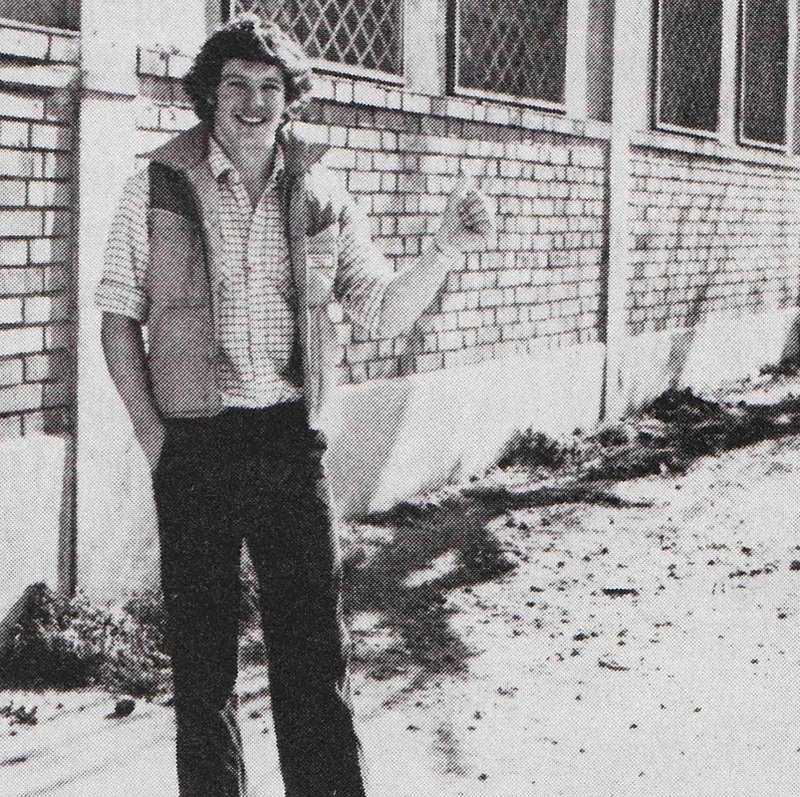 I learned that very quickly, in 1980, I didn’t have good equipment. 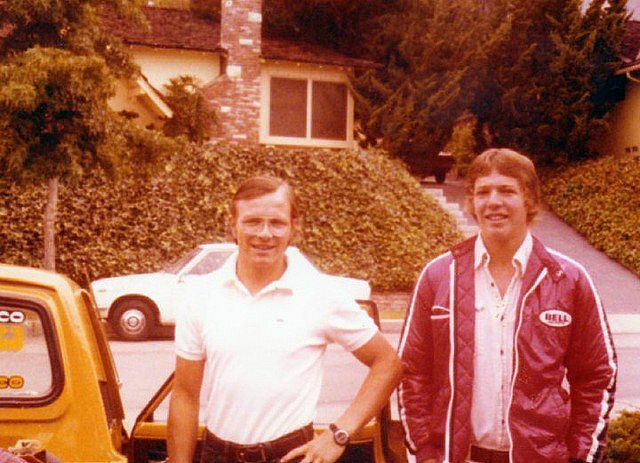 Hey hey, lets go back a few years ha ha. On your previous trip to the UK you’d seen the sections and knew what to expect . Were they a surprise for you or no great surprise? I had never seen sections and felt like “I can’t do that”. I was never scared that I couldn’t get a zero or I couldn’t clean it. I also never looked at any rider and thought he was ten times better than me and what he just did was impossible for me. I think it was because of the competition we had in Southern California. They were already at quite a high level of competition and competing in difficult sections. We understood what difficult sections were already because we had a high level of competition. Just some of Bernie's competition in the North American Trials Championship / AMA series.